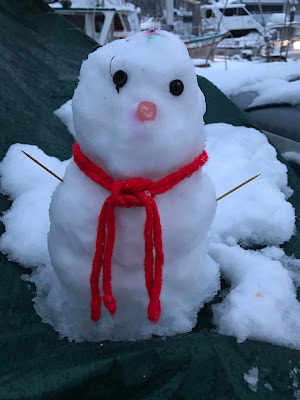 It has been a while since we updated our blog. Well, that is what happens when you are working and not playing. Mark finished and passed all his courses! We had a quiet Thanksgiving this year with a baked ham and we surely missed the fun we had last year in Florida. 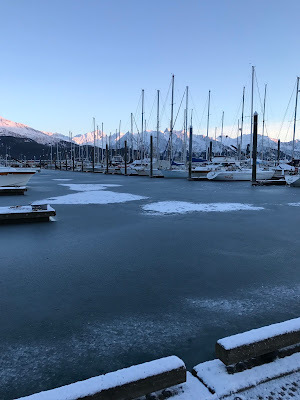 It is getting colder here in Seward, with occasional strong winds, bringing the wind chill to the minus temperatures, both in the Fahrenheit and Celsius scale. The snow fall makes the place so pretty and the photos do not do it any justice. 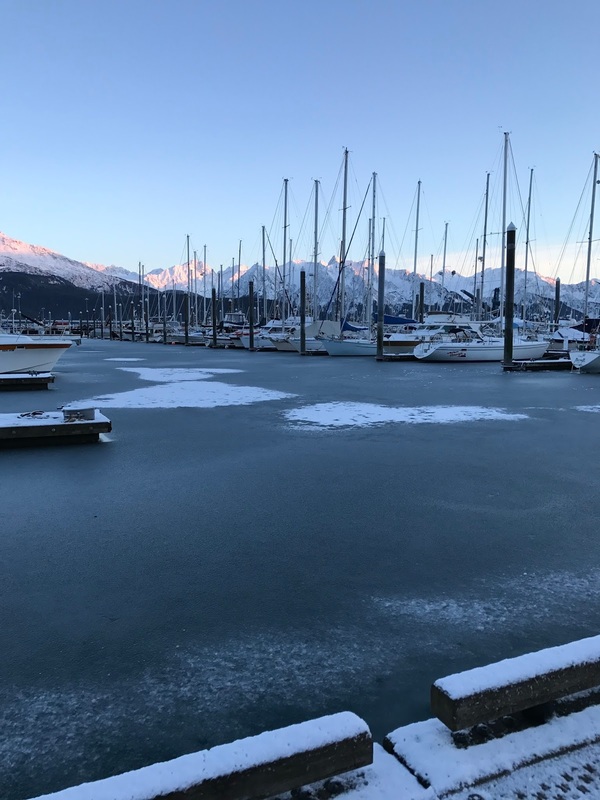 The water in the boat harbor nearer shore is freezing. The boat seems to be taking it in her stride and we are coping. We have our wood stove going in the evening and 2 electric heaters going all the time, so we are keeping warm.